Special Edition of The Crochet Crowd inside A Needle Pulling Thread Magazine. In February, we did an Octagon & Squares Challenge. 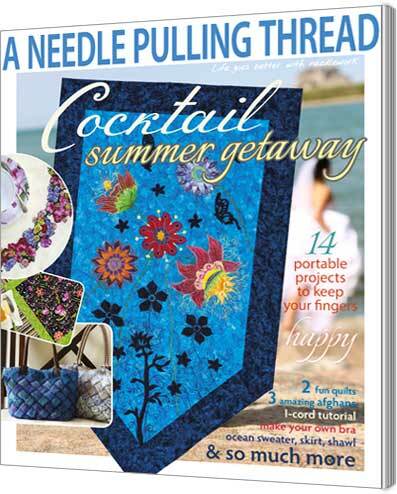 A Needle Pulling Thread Magazine offered to publish the entires for the Octagon & Squares Challenge. We had 494 afghans submitted in time for the challenge. The final photos, along with Red Heart’s pattern was published in this edition. If you have never been published before, this is something to be very proud of. Our images are like a crochet buffet of gorgeous colours all combined together as a collective community. Due to copyright, I cannot show you an advanced preview of the pages. There are 4 pages with our afghans. The Octagon & Squares Pattern has also been included. If you were part of this challenge, most of the afghans were placed into this magazine. Please note the magazine did their very best to incorporate our photos. Some photos may be cut off or not shown due to space allowance. We thank A Needle Pulling Thread for featuring us. This is the first time The Crochet Crowd has ever been featured in a magazine in such a huge scale. This may be an edition to save as a keepsake of our strong creative community. Just for our community, A Needle Pulling Thread is offering this edition for sale on its own and/or you can buy a yearly subscription. This entry was posted in Announcements and tagged Challenge, Mikey, Octagon Squares Challenge, Red Heart, The Crochet Crowd, Throw. Bookmark the permalink. I would like to know where I can get a copy too the link above didn’t work. There’s a link in the article to purchase this. Yes. I got my magazine in the mail the other day. Wouldn’t you know it was one of the challenges I didn’t get in on. 🙂 The article was excellent. It’s that always the way!